No Application Fee For any Category Candidates Only Fill Online Application Form. 1. Any Graduate with minimum one year Diploma in Computer Application or any such relevant/ equivalent/ higher qualification. 2. Must possess typing speed of minimum 30 wpm in Punjabi (in Raavi font). 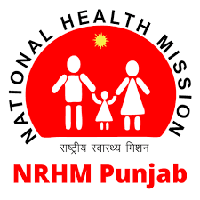 Eligible candidates may apply online at NRHM Punjab's website (direct link is given below) from 25 Jan 2019 to 12 Feb 2019. Candidates log on to http://www.pbnrhm.org/.